Thought this might be of interest to someone. I did spend some time(a lot) a few years ago researching methods to make an emergency fire if needed. I spend alot of time in rugged areas along rivers and streams and have fallen on occasion but no serious injuries luckily. Never know when and where you may have to survive a night or two before help comes to your rescure or you are able to help yourself out of a life endangering situation. I wanted to have something that I could have with me everyday of the year, year after year and have a feeling of security when Im out and about in the woodlands. Most of the time I'm offtrails bushwacking if you will. Commercial items for firemaking were always too bulky to carry with me on my person 24/7. I ventured out to make my own. 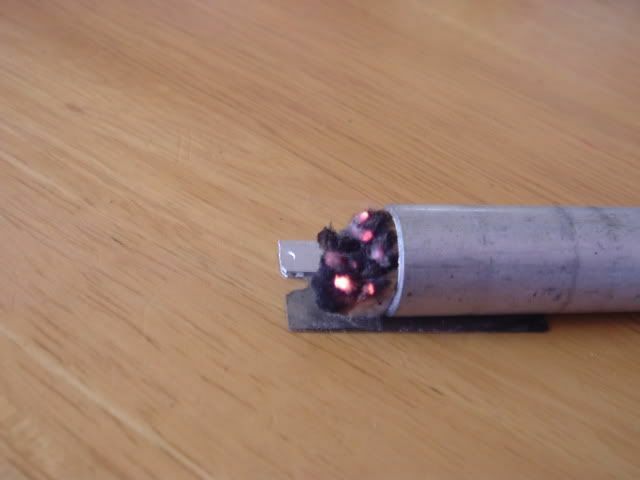 This is my "Ultimate Firestarter" I carry it on my keyring. 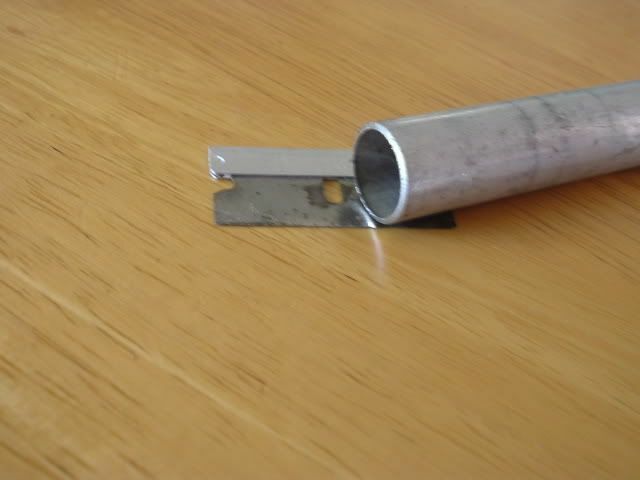 The striker for it is a stainless steel single edge rasor blade that I keep in my wallet. Also in my wallet, I keep 1 tablespoon of powdered magnesium that is hermeticaly sealed in a poly film. Flattened out, it is as thick as two credit cards and is dimensionaly the same size as a credit card and weighs the same as a credit card. (I think I said that right) the use of magnisium is taught by Dr. Andre F. Bourbeau, author of the commentary given below. I wish every backpaker, hiker, outdoors men and women would read this information, It could save your lives. In my opinion, knowing how to start a fire and how to keep it going in a drenching downpour is one of the absolutely essential survival skills. No one is going to make ME believe that I can go out there in freezing rain at about 0 degrees Celsius, after it's been raining for days, pile up some half frozen and sogging wet debris for hours to make a debris hut, crawl in with non-waterproof clothes on, and not fall victim to hypothermia in very short order. Been there, done it - just doesn't work! I speak from experience. I've slept out with no gear whatsoever in that precise kind of weather, at the very least, 100 times in the past 25 years. When the going gets rough, and days of freezing rain, sometimes followed by -35 degrees is just about as rough as it gets, the only thing that will save your life is fire. Noted survival expert, Tom Elpel, just came back from a 4 day walkabout. How did he spend each night? By a fire. I do the same, and any experienced outdoorsman will also do the same. If there's material for a debris hut, that means there are trees, and if there are trees, there is firewood, and if there is firewood, there is fire. And if there are no trees, and everything is soaking wet and freezing cold, and you have no rain gear or shelter, sorry folks, but your luck has just run out. Just like bough beds - make me laugh! Just try lying on one of those soggy soaking wet beds made from dripping evergreen branches. You won't last 2 hours in really cold weather, I guarantee it. So, if you want to survive, learn how to make a fire in the rain. Sorry, that just can't be learned by reading, you have to practice. Why practice when it's nice out? You don't need a fire then! It's when it's miserable and soggy and soaking wet and all your clothes are drenched that you need a nice big bright beautiful fire to dry you out and keep you warm. Please practice this skill during the worst thunderstorms you can find, close to camp. THIS is one skill which WILL save your life- even without shelter. Out of 32 students who sign up for my bachelor's degree in outdoor adventure pursuits in their first year at the University of Quebec, on average, only 1 or 2 can successfully start a fire in the rain - and they all have experience. Imagine beginners... No wonder so many people die from hypothermia. The problem is that everyone has learned to make a fire by picking out small twigs from conifers, then putting them on the fire one by one, then bigger ones, then bigger ones still - as if size of wood and leaving enough air were the only factors to consider when making fire. It isn't as simple as that. There is a lot more to this skill than meets the eye. Of all the skills I teach, starting fire in the worst downpours (at least with matches, BIC lighters and a magnesium match) is on the very top of my list of priorities. I cannot EVER stress this enough. If you want to survive, LEARN THIS SKILL! Best wishes for dry weather in the meantime. The most reliable way to start a fire, though not the easiest for those with little or no experience, is with a commercially prepared (artificial) flint and steel (your knife will do for the steel, though some such fire starters come with their own). This is a practically unlimited resource that won't run out and that works in any weather. The artificial flint used for such purposes is similar to the flints used in traditional cigarette lighters, but it is a somewhat harder alloy in order to give off hotter and more long lived sparks. It is comprised of a mixture of metals and rare earth elements, by weight approximately 20% Iron (Fe) with trace amounts, less than 3% each, of Zinc (Zn) and Magnesium (Mg) and the remainder a combination of rare earth elements, 50% of which is Cerium (Ce), the remainder primarily Lanthanum (LLa) and Neodymium (Nd) and trace amounts of some other rare earth elements. These are alloyed at high temperature and then extruded into rods of various diameters. 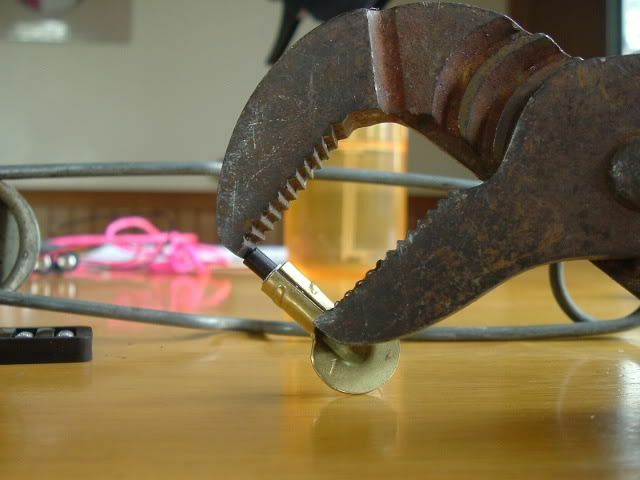 When scraped with a hard, sharp edge a thin layer is scraped off and the resulting friction heats the scrapings up to the point of ignition, giving off an impressive shower of very hot sparks. Note that this scraper doesn't have to be steel, but the edge does have to be hard and sharp enough to scrape with. A broken piece of glass can be very effective, for example. The back edge of many knives works as well as the sharp edge, if it hasn't been eased. By comparison, natural flint is a very hard quartz mineral, harder than most steels, which when struck on a sharp edge by steel or iron creates small sparks by removing and heating up the softer metal. These sparks are relatively weak and few in number, so making a fire with these requires a fair amount of skill and special tinders. Natural flint is a real pain in the you-know-what to use compared to the man-made variety. Fine for those re-enacting the experiences of the Old West's Mountain Men and the like, but not very practical for us today. Some manner of man-made flint should be part of every survival kit. 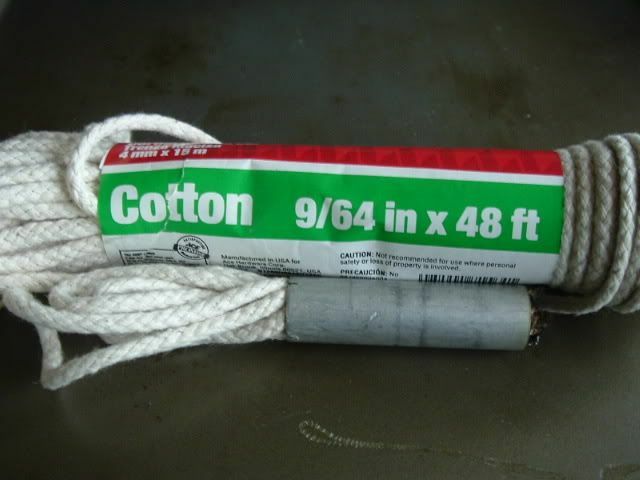 The longest lasting artificial flints are the conventional 1/2 inch diameter by 2 or 4 inch long flint rod, usually incorporating a cap or hole with a lanyard attached. Sometims there will be a steel scraper attached to the lanyard. More expensive versions may be fitted with a bone, antler or wooden handle. A bit large for anyone focused on minimum weight or size, but you'll get a massive shower of sparks with these large rods. They will last through hundreds of thousands of strikes, so for a survival situation using them up is impossible. 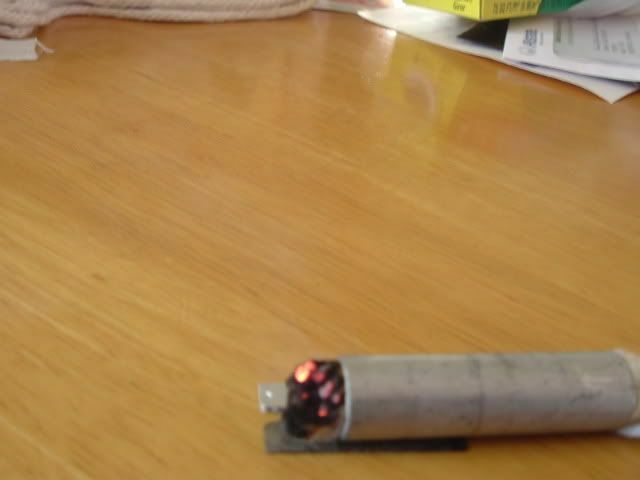 Here is a photo of my "Ultimate Firestarter" it may ultimately help save my life. I have it with me always(there are ecceptions ) The one you see on my key ring has started countless fires and has served me well for three years. I replaced it today with one of the new ones shown in the photo. 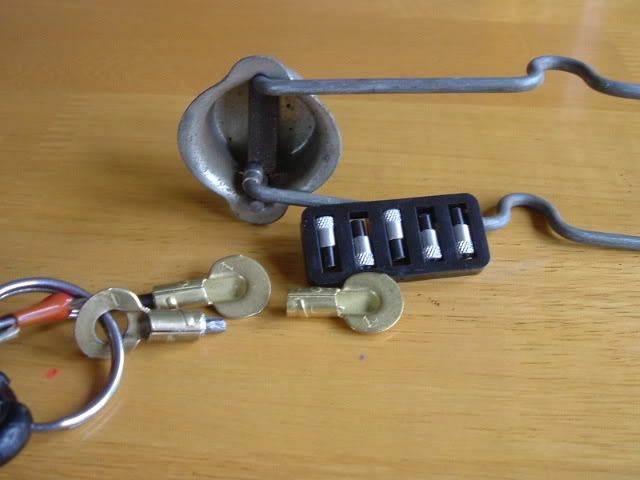 During the time I spent as Assistant Scoutmaster, I furnished every scout in our troops with one of these firestarters and were taught firemaking principles using the spark method. If anyone is interested in owning one I'll make them available. 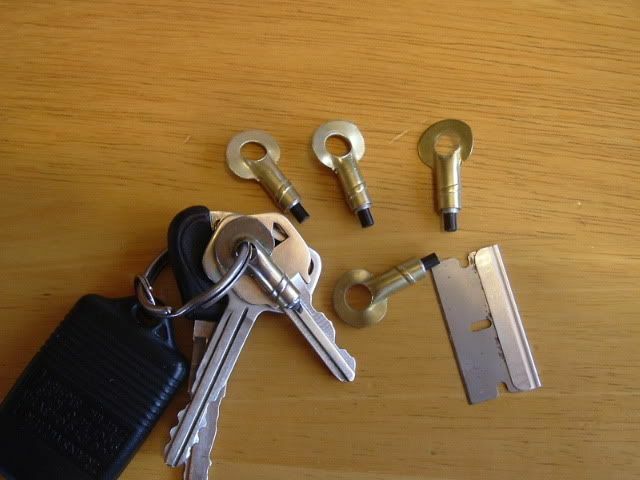 They are made of brass plated steel and have an insert made of man made flint,Ferrocerium. 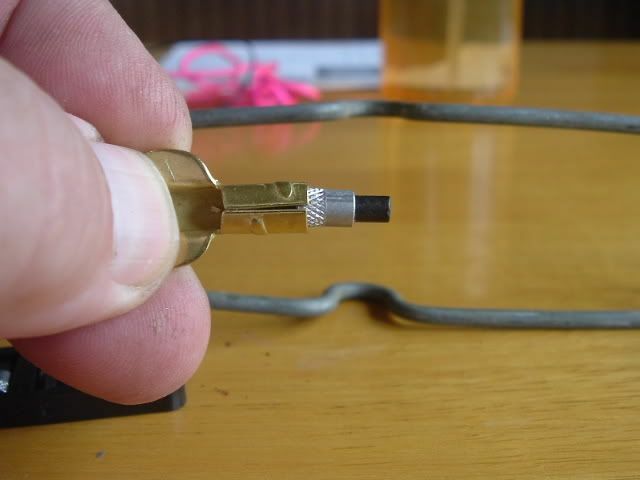 The insert is a replacable flint for welding torch ignitors. The brass thingy is a shelf support. Practice your firemaking skills!!!!!! Stay Alive!!!!! Came across this fire making tool while cleaning my carage. I call it rope char. It's easy to make compared to making regular sheet char. Not as fragile a sheet char. 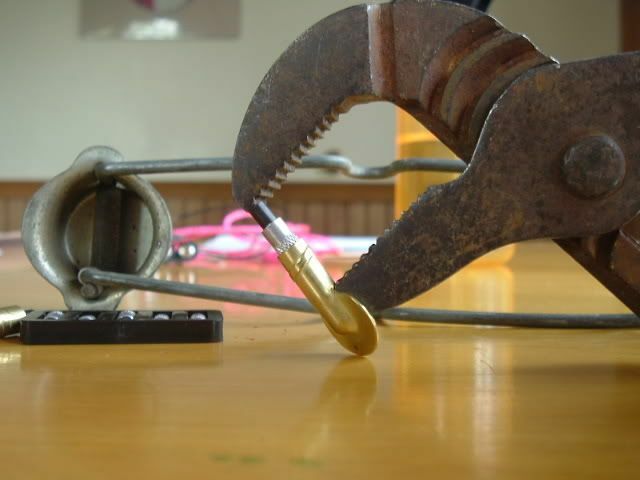 This method was used in early times for pre-flintlock guns(blunderbusts). A glowing rope was used to ignite the powder. In world war 1, soldiers in the trenches needed a means to light their cigarettes without showing the enemy a bright glowing match. At that time the "Trench" lighter was introduce. 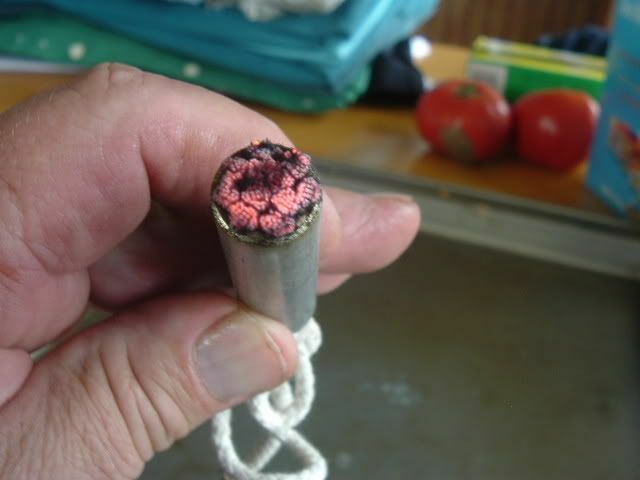 The lighter contained a charred wick/rope that would ignite easily with a spark and glow red hot enough to light em up if they had them. I saw this on the net at some point in time and made one to see how they work. It's made with a short length of alum. 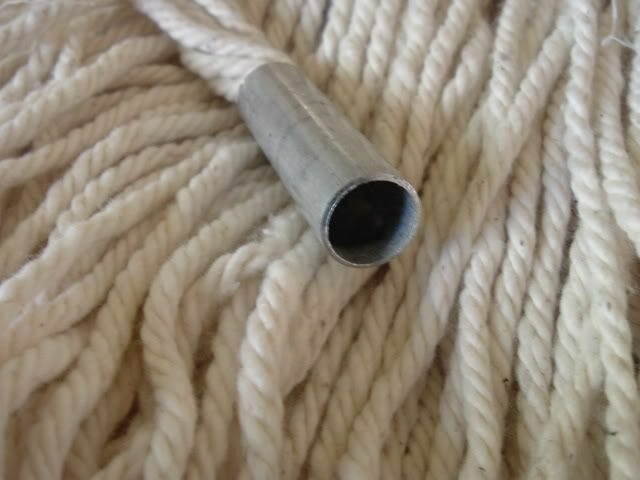 tubing and strands of cotton from a floor mop. The mop needs to be 100% natural cotton. If you can find a piece of 1/2 inch cotton rope use that first. put the rope into the tube, fuzz up the end of it and lite it. Let it burn for 15 sec or so and then blow it out. It will continue to have a glowing red ember on the end, the part used to start you tinder on fire when practicing your fire making skills. Now pull the glowing rope back into the tube to make the ember go out. Let it stay in the tube protected from harm. The charred end of the rope starts easily with a spark from a ferrocerium rod/sparker rod or flint and steel. I've never made sheet char so I can't give you any personal tips on doing it. Maybe some of you out there can share some of your ways of making char. 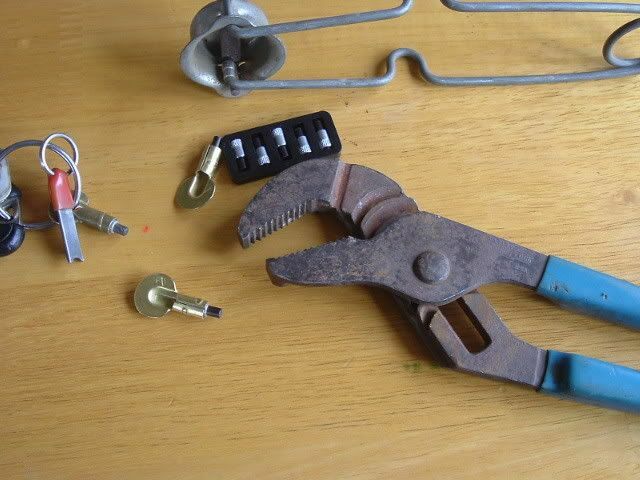 I used one of these little DIY sparking rods and a single edge razor blade to throw a spark onto the charred rope. 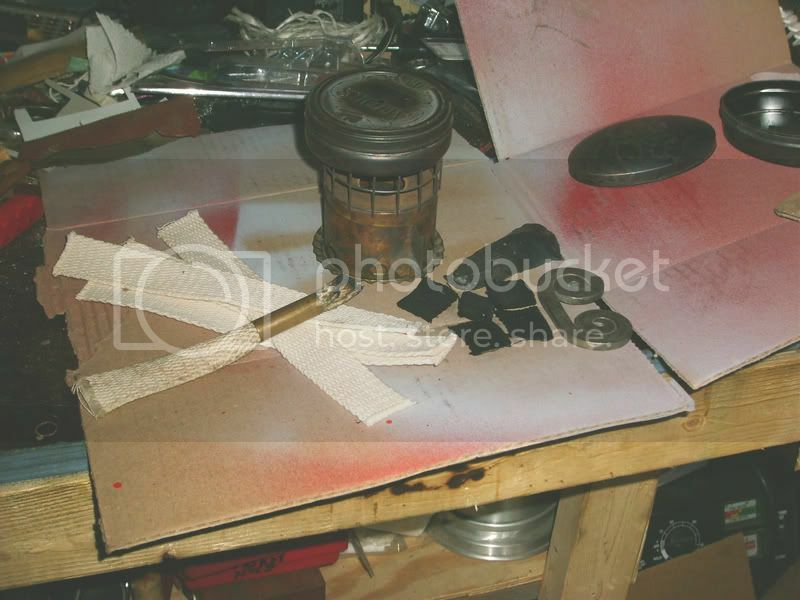 Or like this use kerosene wick bullet case also i cut in sq. for my flint and steel thats the stove and can that i use to char it. Yes, exactly. 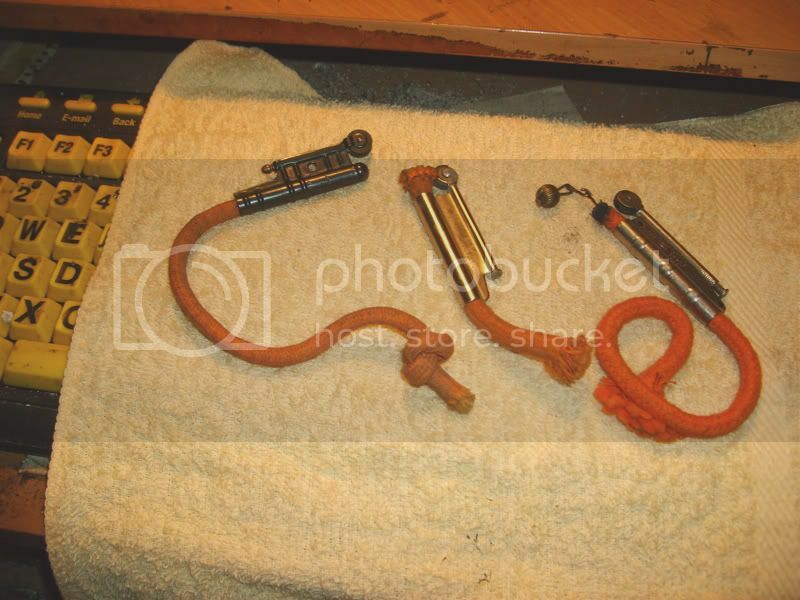 Nice photos of the Trench lighter in the top photo. A picture is worth a thousand words. Does the flat wick char up easily in the altoids tin? How big a hole in the altoids? 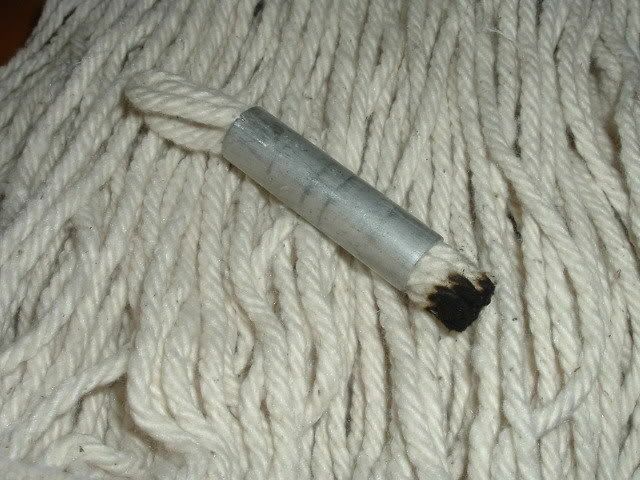 I have some of the flat cotton wick in my garage, I'll find it, I hope!!!! about 1/8 now when it stops somking do it then take of stove let cool if you dont wait long enuff when you open can it go up in flames its a learing curve . I've been looking but still hav'nt found the wick. I will make some asoon as i find it. Hole size 1/8, got it. 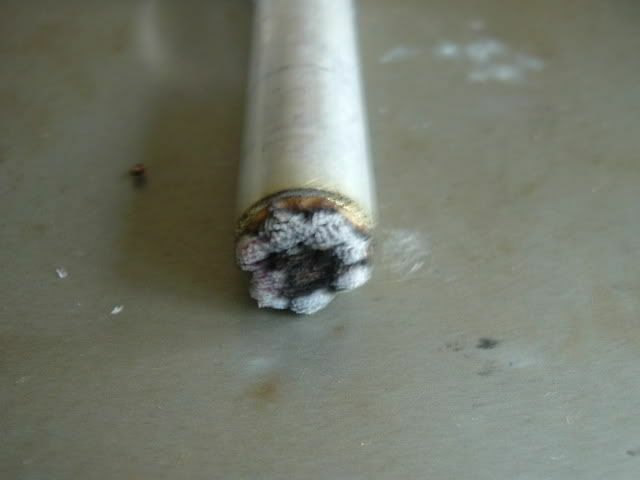 Wait till stops smoking, take it of burner let cool before opening. Going for a hike this weekend, stay dry up there in the north country. 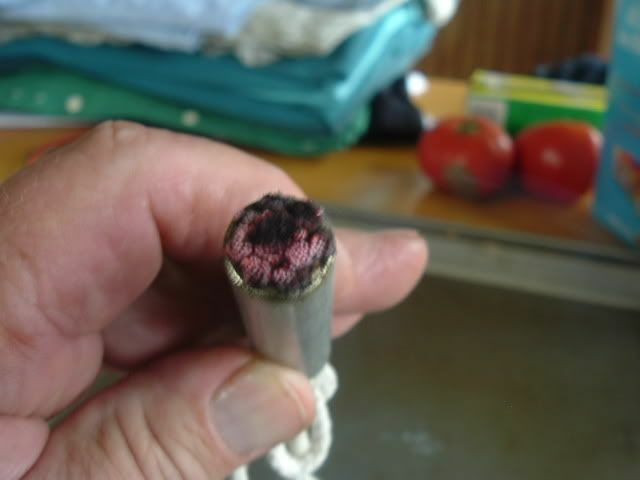 I did find some cotton Mason Line that I had tested at some point and found it was pretty good for charring. 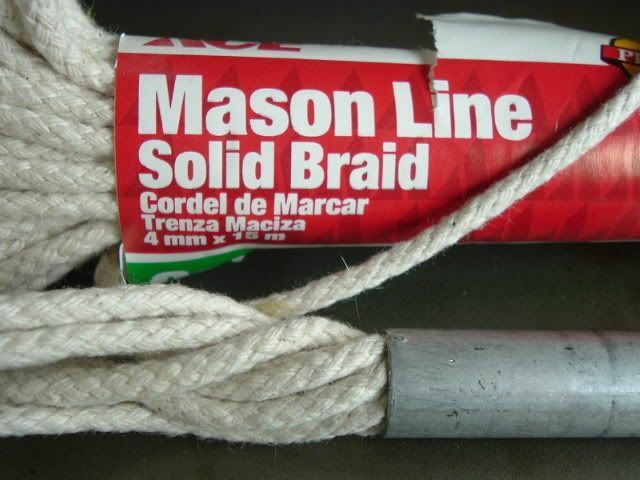 I replaced the cotton mop threads with multiple strands of the mason line. Works much better. 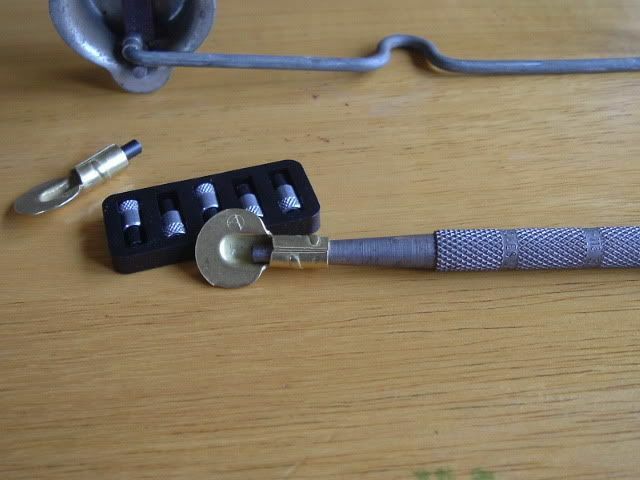 I had a couple of people interested in how to make the keychain size firestarter/flint holder.